NEEDHAM, MA – April 8, 2019 – The Consortium for IT Software Quality™ (CISQ™), an IT industry leadership group that develops standards for automating software quality measurement, today named David Norton as its new Executive Director. Mr. Norton succeeds Dr. Bill Curtis, who will serve in an advisory role as Executive Director Emeritus. In his position as Executive Director, Mr. Norton will work with organizations to help executives understand the business of developing and maintaining quality software and the impact of technical debt as businesses continue to automate processes. He will also work with development teams to strengthen the role of quality and measurement in agile and DevOps environments. "I am excited to join the CISQ team in its next stage of its journey," said Mr. Norton. "I have high regard for the standards portfolio that CISQ has created at the Object Management Group® and I look forward to ensuring that more organizations become aware of the way software quality standards can help them reduce risk, lower cost and support their digital strategy." Mr. Norton brings with him more than 32 years of global industry experience. Prior to joining CISQ, Mr. Norton served as a senior analyst for Gartner, Inc. in the Application Governance and Strategy group where his primary focus areas included: enterprise agile, digital, and practicalities of dealing with ever-increasing complexity and uncertainty. Prior to Gartner, he has held a number of senior roles in global organizations, focusing on business and IT transformation. He has also spent time in the defense sector, including having been operational with British and NATO forces. David is a self-confessed geek for system theory and system dynamics modeling, which he often does for fun on his barge on the Thames. According to OMG Chairman and CEO Dr. Richard Soley, "As a Gartner analyst, David has been at the forefront of many technology lifecycles. I look forward to David bringing his exceptional insight in governance and business strategy, which will be instrumental as CISQ continues to lead the development and industry adoption of technology standards for software quality. I would also like to thank Dr. Curtis for his exceptional ability and foresight in championing the development and growth of CISQ. 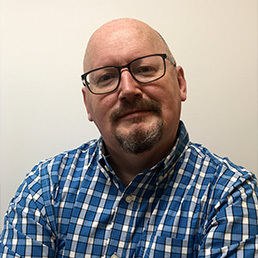 Since 2010, he has headed the CISQ technology program, which includes the publication of standards for software sizing, structural quality and Technical Debt as well as the Trustworthy Systems Manifesto."